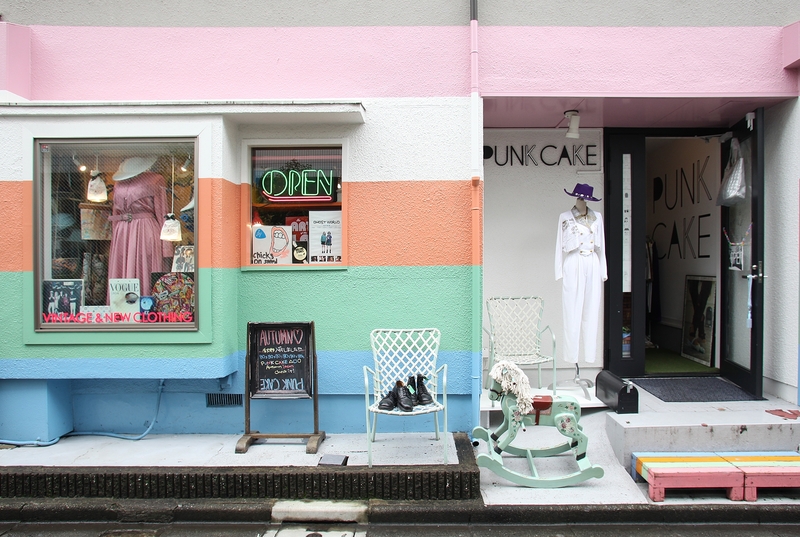 PUNK CAKE shows the sweet side of punk while radiating a special distinction even for the Ura-hara area. This store offers fashion, art and music focusing on American secondhand clothing from the 1980s with their own unique edge. The shop name says punk but the styles are more similar to a colorful selection of New Wave, New Romantic and 80s pop styles. The interior is a distinct and plain white to make these colorful items stand out even more. Check out the tons of stylish outfits from PUNK CAKE posted all over in places such as blogs and Instagram.